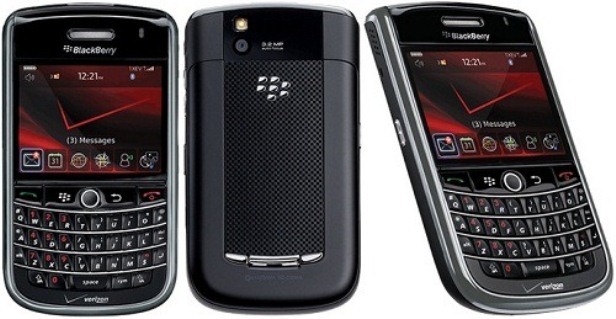 Blackberry Tour 9630 is one of the popular models of Blackberry, released in July 2009, with 256 RAM and a 2.4 inches display. If you own this phone, there is a good chance that as a result of normal everyday use, a few software errors and freezes started to interfere with your user experience. To regain functionality of the phone, it’s useful to perform a hard reset. Restoring the BB Tour 9630 to master software is a very useful procedure it terms of solving most software-related issues quickly, but it comes with a disadvantage: all your data will be erased. Given the data loss that’s produced, you will have to make a backup of all important contacts and data on the phone. Before moving on to how you can do that, there are a few details about the Blackberry Tour 9630 that you should know. Equipped with Wi-Fi hotspot capabilities, the phone has a 3.15 MP camera attached with autofocus, geo-tagging and LED flash that serves for taking pictures, as well as making videos. Blackberry Tour 9630 has an 1400 mAh battery that allows for up to 336 hours stand-by and maximum 5 hours talk time. 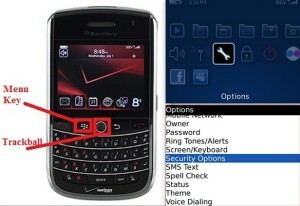 The phone gives access to many applications such as Blackberry Maps, Organizer, Voice Memo, Document editor and so on. Before proceeding with the hard reset, you will need to make a backup of the information you want to save. To do so, you will have to download and install the Desktop Manager Application especially designed for Blackberry mobiles. This one will allow you to connect the phone to a computer using the USB cable and save the data on that external device in order to restore it at a later time. The app is going to guide you through all the necessary steps to perform the operation. Press the Menu key and open your Options folder. Enter the Security Options folder then press General Settings. Press the Menu key once more, scroll down to the Wipe handheld option and confirm it by pressing the trackball. Once the warning pops up, scroll down to Continue and press the trackball to confirm. The reset code you’ll need to type in is “blackberry” and then confirm it by pressing the trackball. Your phone will now be rebooting.